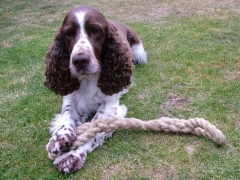 Master Ropemakers produces bespoke products for pets of all kinds and sizes. If you are a Young Farmer showing tiny lambs up to large cattle we can provide you with a Chatham Hemp training halter or a Natural Cotton Show Halter for all of the Young Farmers country shows. 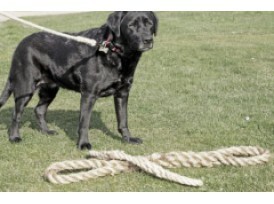 Entertain your dog large or small with a dog pull available in Chatham Hemp or Manila. 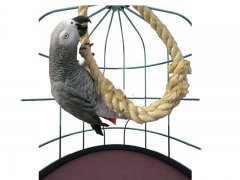 Manila provides a great deal of fun and due to the nature of the fibre in the rope whilst your dog is having fun his also cleaning his teeth! 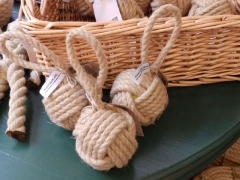 Dog leads are also available in Chatham Hemp with an added ring on the handle to clip the lead to for ease of use when allowing your pet to run around the park. 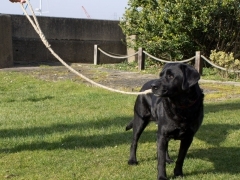 These dog leads are very strong and finished to a high standard by our Master Craftsmen. We can also produce these leads in different colour nylons please call 01634 823890 and find out what else we can offer.